Know someone who deserves recognition for their human rights work? Nominate them. If you know of an incident where you believe human rights were violated, let us know. 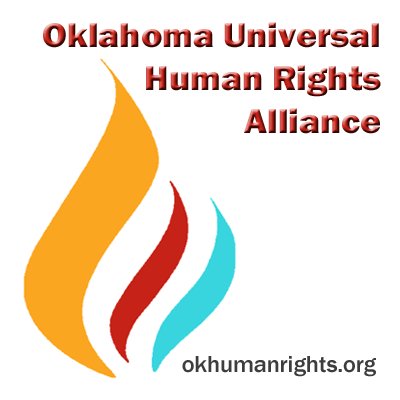 Join and get involved in the Oklahoma Universal Human Rights Alliance. But must be protected and defended. Work with us to insure this right is maintained for ALL Oklahomans.